In the Battle of the Zab, the Abbasid rebels defeat the Umayyad Caliphate, leading to overthrow of the dynasty. The Abbasids under Abu l-Abbas as-Saffah decisively beat the Umayyads under Marwan II in the battle raging since January 16 on the Zab, a river in present-day Iraq, thus bringing about a change in the dynasty of caliphs. Il est né comme le 1er prince de 066 Tennou Ichijou 一条天皇09811 (la mère était Fujiwara Teishi 定子097701), mais il a perdu son grand-père tôt, la mère vivante a également prématurément perdu son destin fatidique. Der römisch-deutsche König Heinrich IV trifft während des Investiturstreits auf seinem Gang nach Canossa auf der Burg Canossa der Mathilde von Tuszien ein, um von Papst Gregor VII die Aufhebung des Kirchenbanns zu erbitten. The Roman-German King Henry IV arrives during the investiture dispute on his way to Canossa on the castle Canossa the Mathilde of Tuscany, in order to ask Pope Gregory VII to cancel the excommunication. An army of the kingdom of Jerusalem led by King Baldwin III, reinforced by knights of the Knights of St. John and Templar, begins the siege of Ashkelon. a senatorial and priestly assembly meets, who three days later elects Nikolaos Kanabos against his wishes to become a short-time emperor of the Byzantine Empire. Taira no Tokuko, later known as Kenreimon-in (建礼門院), was the daughter of the Chancellor Taira no Kiyomori 平清盛111881, and empress-consort of Emperor Takakura 080高倉116181天皇. 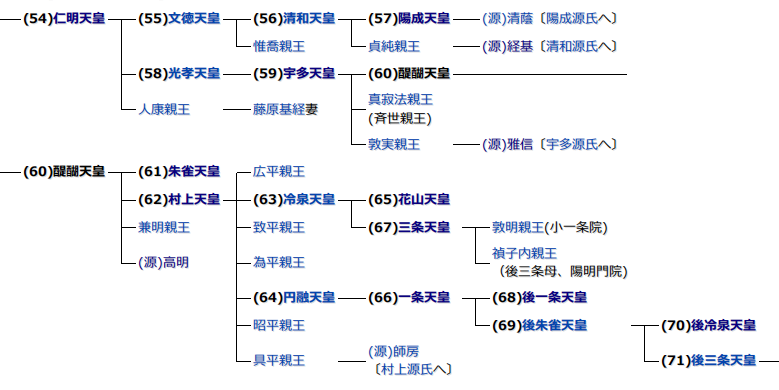 She was also the last Heike Imperial survivor from the great naval battle of Dan-no-ura 壇ノ浦合戰. Her life became a compelling narrative which survives as both history and literature 『平家物語』. Eight Kings and Queens are present when the English King Eduard II and Isabelle de France marry in the Cathedral of Boulogne-sur-Mer. 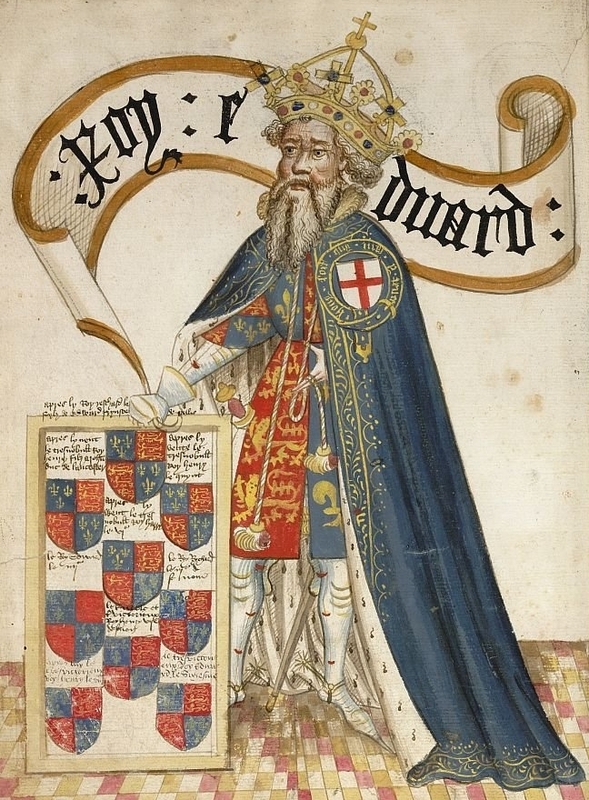 Edward III throne to King England. A strong earthquake strikes the South Alpine region of Friuli in modern Italy, causing considerable damage to buildings as far away as Rome. duchesse de Bretagne et comtesse de Montfort (1488-1514) et d'Étampes (1512-1514) et, par ses mariages, reine de Germanie (1490-1491), puis de France (1491-1498), puis de nouveau reine de France (1499-1514) et reine de Naples (1501-1503) et duchesse de Milan (1499-1500 et 1500-1512). 1494/0125：Alfonso II becomes King of Naples. Dopo la morte del padre Re Ferdinando I, Alfonso II della casa d'Aragona sale sul trono di Napoli. 1515/0125：Sacre du roi François Ier. In the cathedral of Reims, the French king Franz I is anointed and crowned. The English King Henry VIII marries Anne Boleyn as the second wife, although the pope has not agreed to a dissolution of the marriage with Catherine of Aragon. Founding of São Paulo city, Brazil. On the Feast of Pauli Conversion, the Jesuit Father José de Anchieta founds the place São Paulo to build a Jesuit monastery in Brazil. Battle of Mikatagahara: In Japan, Takeda Shingen defeats Tokugawa Ieyasu. Luanda, the capital of Angola, is founded by the Portuguese navigator Paulo Dias de Novais. als Sohn Lucas Cranachs des Älteren ein bedeutender Maler und Porträtist der Renaissance. an Anglo-Irish natural philosopher, chemist, physicist, and inventor. Boyle is largely regarded today as the first modern chemist, and therefore one of the founders of modern chemistry, and one of the pioneers of modern experimental scientific method. 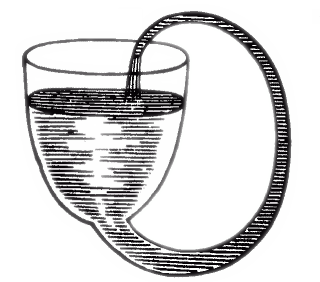 He is best known for Boyle's law, which describes the inversely proportional relationship between the absolute pressure and volume of a gas, if the temperature is kept constant within a closed system. Joseph Louis, comte de Lagrange est un mathématicien, mécanicien et astronome italien naturalisé français. À l'âge de trente ans, il quitte le Piémont et va séjourner à Berlin pendant 21 ans. Ensuite, il s'installe pour ses vingt-six dernières années à Paris, où il obtient la nationalité française sur l'instance d'Antoine Lavoisier. Ses premières réalisations sont appliquées à la physique de l'intégration différentielle, en particulier à la dynamique. Après cela, il a encore généralisé la dynamique, il a créé la mécanique analytique (mécanique lagrangienne) basée sur le principe du moindre effet. La «mécanique analytique» de Lagrange est devenue une œuvre classique à la fin du XVIIIe siècle avec «l'astrophysique» de Laplace. an influential German philosopher, literary figure, socialite, and the younger brother of poet Johann Georg Jacobi. He is notable for popularizing the term nihilism (coined by Obereit in 1787) and promoting it as the prime fault of Enlightenment thought particularly in the philosophical systems of Baruch Spinoza, Immanuel Kant, Johann Fichte and Friedrich Schelling. Instead of speculative reason, he advocated Glaube (variously translated as faith or "belief") and revelation. In this sense, Jacobi anticipated present-day writers who criticize secular philosophy as relativistic and dangerous for religious faith. In his time, he was also well-known among literary circles for his critique of the Sturm and Drang movement, and implicitly close associate Johann Wolfgang von Goethe, and its visions of atomized individualism. His literary projects were devoted to the reconciliation of Enlightenment individualism with social obligation. Moscow University is established on Tatiana Day. At the suggestion of Mikhail Vasilyevich Lomonosov, Ivan Ivanovich Shuvalov founded the first university in Russia, the present-day Lomonosov University, in Moscow, following a decree by Tsarina Elizabeth I.
also known as Rabbie Burns, the Bard of Ayrshire, Ploughman Poet and various other names and epithets, was a Scottish poet and lyricist. He is widely regarded as the national poet of Scotland and is celebrated worldwide. He is the best known of the poets who have written in the Scots language, although much of his writing is also in English and a light Scots dialect, accessible to an audience beyond Scotland. He also wrote in standard English, and in these writings his political or civil commentary is often at its bluntest. Port Egmont, the first British settlement in the Falkland Islands at the southern tip of South America, is founded. Barber David Low opens the world's first Grand Hotel at Covent Garden in London. the two-day Battle of St. Kitts begins off the Caribbean island of St. Kitts between a British fleet under Samuel Hood, Viscount Hood and a French fleet under François Joseph Paul de Grasse. L’affaire du collier est une escroquerie qui eut pour victime, en 1785, le cardinal de Rohan, évêque de Strasbourg, et qui éclaboussa la réputation de la reine Marie-Antoinette. The rebellion's largest confrontation, outside the Springfield Armory, results in the killing of four rebels and the wounding of twenty. The British Parliament passes the Constitutional Act of 1791 and splits the old Province of Quebec into Upper Canada and Lower Canada. The London Corresponding Society is founded. Signature du Concordat de Fontainebleau. Le concordat de Fontainebleau est un traité signé entre le Saint-Siège de Pie VII et l’Empire français de Napoléon Ier à Fontainebleau, le 25 janvier 1813 et promulgué le 13 février 1813. Tomioka Tessai était le pseudonyme d'un peintre et calligraphe au Japon impérial. Il est considéré comme le dernier artiste majeur de la tradition Bunjinga et l'un des premiers artistes majeurs du style Nihonga. 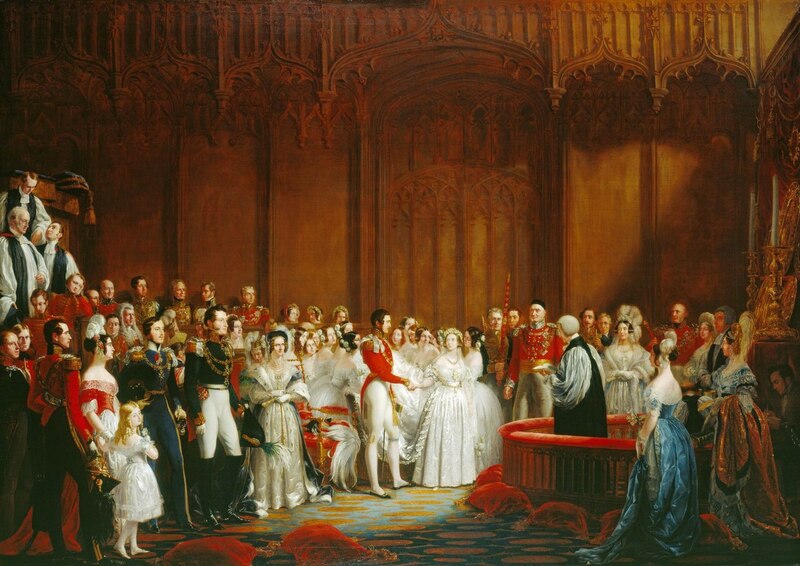 The Prussian Crown Prince Friedrich marries Victoria of Great Britain and Ireland, the daughter of British Queen Victoria, in the chapel of St. James's Palace in London. The wedding march from A Midsummer Night's Dream by Felix Mendelssohn Bartholdy, which is played at the wedding, is generally very popular at weddings. British playwright, novelist and short story writer. He was among the most popular writers of his era and reputedly the highest-paid author during the 1930s. an English writer who is considered one of the foremost modernists of the twentieth century and a pioneer in the use of stream of consciousness as a narrative device. Born in an affluent household in Kensington, London, she attended the King's College London and was acquainted with the early reformers of women's higher education. Virginia et sa sœur Vanessa jouant au cricket. Kitahara Hakushū est un poète de tanka japonais considéré comme l'un des plus populaires et importants de la littérature japonaise moderne. ein deutscher Dirigent und Komponist. Er gilt als einer der bedeutendsten Dirigenten des 20. Jahrhunderts. Furtwängler himself dislikes extremely to be regarded as a "late Romanticist" and said that "I am neither a romantic nor a classicist". With 167 to 98 votes, the German Reichstag rejects a government bill by Otto von Bismarck for the extension of the Socialist Law for an indefinite period. un marchand d'art néerlandais, frère cadet du peintre Vincent van Gogh. Les 652 lettres que Vincent écrivit à son frère Théo1 constituent un témoignage unique de la vie et de la pensée de l'artiste. Japanischer Schriftsteller, Dichter, Kritiker, Politiker. In 1924 he entered the German literature department of the University of Tokyo. In 1931 he joined the Japanese Communist Party, for which he was arrested in 1934. Immediately after World War II he rejoined the party, and in 1947 began a three-year term as elected representative to the government. In 1958 he was elected to the party's Central Committee, but in 1964 was expelled due to political conflicts. World premiere of the 2nd Symphony by Alexander Nikolaevich Scriabin in St. Petersburg. Observation of the lowest temperature "- 41 ° C" in Asahikawa city, Hokkaido. Record of the official minimum temperature in Japan. On behalf of the manufacturer John Timberlake, the United States Patent Office applies for a patent on the invented wire hanger. Arnold Schönberg dirigiert im Großen Musikvereinssaal in Wien die Uraufführung seiner symphonischen Dichtung Pelleas und Melisande nach dem Drama von Maurice Maeterlinck. Emperor Nicolai II of Russia declared a withdrawal from Manchuria. the pseudonym of the English novelist Maria Louise Ramé (although she preferred to be known as Marie Louise de la Ramée). Kitani Minoru a été l’un des joueurs de go professionnels les plus célèbres au Japon, au cours du XXe siècle. An der Hofoper in Dresden wird die Symphonieoper Elektra von Richard Strauss mit dem Libretto von Hugo von Hofmannsthal erfolgreich uraufgeführt. Die Klytämnestra singt Ernestine Schumann-Heink. Richard Strauss's opera Elektra receives its debut performance at the Dresden State Opera. Kanno Sugako (管野須賀子), also called Suga (スガ) was an anarcho-feminist Japanese journalist by profession. She was the author of a series of articles about gender oppression, and a defender of freedom and equal rights for men and women. 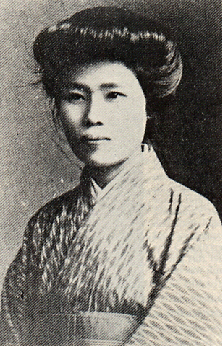 In 1910, she was accused of treason by the Japanese government for her alleged involvement in what became known as the Kotoku incident 大逆事件, aimed at the assassination of Emperor Meiji. She was the first woman with the status of political prisoner to be executed in the history of modern Japan. Alexander Graham Bell inaugurates U.S. transcontinental telephone service, speaking from New York to Thomas Watson in San Francisco. Im Ersten Weltkrieg wird in Deutschland die Versorgung mit Brot rationiert. Die Brotkarte ist die erste von weiteren, folgenden Lebensmittelmarken. In the First World War, the supply of bread in Germany is rationed. The bread card is the first of other, following food stamps. Il est connu surtout pour sa présentation sur les structures dissipatives et l'auto-organisation des systèmes, qui ont changé les approches par rapport aux théories classiques basées sur l'entropie. Ce en quoi il révèle une théorie parallèle à la théorie du chaos. Dans La Nouvelle Alliance. La Métamorphose de la science, Prigogine développe la thèse suivante : la science classique considérait les phénomènes comme déterminés et réversibles, ce qui est en contradiction avec l'expérience courante. L'irréversibilité des phénomènes temporels caractéristique de la thermodynamique (non linéaire) réconcilie la physique avec le sens commun, tout en faisant date dans l'histoire de la thermodynamique. Ukraine declares independence from Bolshevik Russia. un artiste français, mieux connu comme le sujet fréquent et la femme en union libre de l'artiste Amedeo Modigliani. Surnommée « Noix de coco » en raison de son teint blanc laiteux et de ses cheveux châtain aux reflets roux, elle est surtout connue, de nos jours, pour sa relation amoureuse avec Amedeo Modigliani. On 24 January 1920 Amedeo Modigliani died. 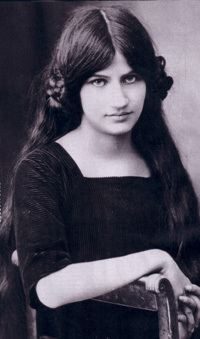 Jeanne Hébuterne's family brought her to their home but Jeanne threw herself out of the fifth-floor apartment window two days after Modigliani's death, killing herself and her unborn child. un genetista e scienziato italiano, che si è occupato anche di antropologia e di storia. He is particularly known for pioneering research on human genetic properties and the history of the human population. a Swedish neuropharmacologist who is best known for his work with the neurotransmitter dopamine and its effects in Parkinson's disease. For his work on dopamine, Carlsson was awarded the Nobel Prize in Physiology or Medicine in 2000, along with co-recipients Eric Kandel and Paul Greengard. In the 1950s he demonstrated that dopamine is not just a precursor to noradrenaline as believed in the past, it is a neurotransmitter in the brain. The 1924 Winter Olympics opens in Chamonix, in the French Alps, inaugurating the Winter Olympic Games. Antônio Carlos Brasileiro de Almeida Jobim, also known as Tom Jobim , was a Brazilian composer, pianist, songwriter, arranger and singer. Widely considered as one of the great exponents of Brazilian music. Jobim is the artist who internationalized bossa nova and, with the help of important American artists, merged it with jazz to standardize in the 1960s a new sound whose popular success was very remarkable. In the late 1950s, he created Bossa Nova with João Gilberto, Vinicius di Morais etc. Second Sino-Japanese War: The Chinese National Revolutionary Army begins its defense of Harbin. The Guiding Light debuts on NBC/01 radio from Chicago. In 1952 it moves to CBS television, where it remains until September 18, 2009.
a Soviet linguist, orientalist and polyglot. In 1938, he was arrested and executed for criticizing Nikolai Mul's theory (the official linguistic theory in the Stalin regime). Ishinomori Shōtarō was a Japanese manga artist who became an influential figure in manga, anime, and tokusatsu, creating several immensely popular long-running series such as Cyborg 009, the Super Sentai series and the Kamen Rider Series. He mass-produced works in a wide variety of fields from SF manga to learning manga, and was described as "King of Manga" and "Emperor of Manga". Matsumoto Reiji is a well-known creator of several anime and manga series. His wife Miyako Maki is also a manga artist. Thailand declares war on the United States and United Kingdom. The Battle of the Bulge ends. Resolution No. 1 of the United Nations Security Council on the Staff Committee. sometimes known by the nickname "Scarface", was an American mobster, crime boss, and businessman who attained notoriety during the Prohibition era as the co-founder and boss of the Chicago Outfit. His seven-year reign as crime boss ended when he was 33. Thomas Goldsmith Jr. files a patent for a "Cathode Ray Tube Amusement Device", the first ever electronic game. Makino Nobuaki was a Japanese statesman, active from the Meiji period through the Pacific War. The first Emmy Awards are presented; the venue is the Hollywood Athletic Club. Crise franco-allemande à propos de l'administration de la Sarre. The Soviet Union ends the state of war with Germany. Shiga Kiyoshi was a Japanese physician and bacteriologist. Kobayashi Ichizō, occasionally referred to by his pseudonym Itsuō (逸翁), was a Japanese industrialist. He is best known as the founder of Hankyu Railway, Takarazuka Revue, and Toho. He represented Japanese capital in government. Annexion du Cachemire par l'Inde. The National Association of Broadcasters reacts to the "payola" scandal by threatening fines for any disc jockeys who accept money for playing particular records. President John F. Kennedy delivers the first live presidential television news conference. Blue Ribbon Sports is founded by University of Oregon track and field athletes, which would later become Nike. Brazilian Army captain Carlos Lamarca deserts in order to fight against the military dictatorship, taking with him ten machine guns and 63 rifles. Tsuburaya Eiji was a Japanese special effects director responsible for many Japanese science-fiction films and television series, being one of the co-creators of the Godzilla series, as well as the main creator of the Ultra Series. In India, the northern state of Himachal Pradesh emerges from a previously existing Union territory. Idi Amin leads a coup deposing Milton Obote and becomes Uganda's president. Charles Manson and three female "Family" members are found guilty of the 1969 Tate–LaBianca murders. Ohoba Masao was a professional boxer from Tokyo, Japan. 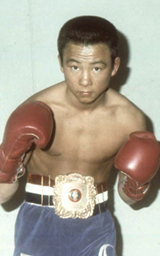 He became the WBA flyweight champion on October 22, 1970, defeating the reigning champion Berkrerk Chartvanchai in Tokyo and retained the championship for an impressive five title defenses. He died in a car accident at 23, still holding his world title. In China, the verdicts are being heard in the trial of the so-called Gang of Four: Mao's widow Jiang Qing and Zhang Chunqiao are sentenced to death, Yao Wenyuan and Wang Hongwen each sentenced to 20 years imprisonment. The death sentences are later turned into life imprisonment. condamnation à mort de Jiang Qing, la veuve de Mao Zedong. a Soviet statesman during the Cold War. He served as Second Secretary of the Communist Party of the Soviet Union from 1965, and as unofficial Chief Ideologue of the Party until his death in 1982. Suslov was responsible for party democracy and the power separation within the Communist Party. His hardline attitude toward change made him one of the foremost anti-reformist Soviet leaders. The National Resistance Movement topples the government of Tito Okello in Uganda. Flight crash accident on 52 Avianca Airways. 73 people died. Five people are shot outside the CIA Headquarters in Langley, Virginia. Two are killed and three wounded. One of the students of Alonzo Church, Kleene, along with Rózsa Péter, Alan Turing, Emil Post, and others, is best known as a founder of the branch of mathematical logic known as recursion theory, which subsequently helped to provide the foundations of theoretical computer science. Kleene's work grounds the study of computable functions. A number of mathematical concepts are named after him: Kleene hierarchy, Kleene algebra, the Kleene star (Kleene closure), Kleene's recursion theorem and the Kleene fixpoint theorem. He also invented regular expressions, and made significant contributions to the foundations of mathematical intuitionism. Russia almost launches a nuclear attack after it mistakes Black Brant XII, a Norwegian research rocket, for a US Trident missile. Billy Bailey becomes the last person to be hanged in the U.S.A.
During a historic visit to Cuba, Pope John Paul II demands political reforms and the release of political prisoners while condemning US attempts to isolate the country. A suicide attack by the Liberation Tigers of Tamil Eelam on Sri Lanka's Temple of the Tooth kills eight and injures 25 others. A 6.0 Richter scale earthquake hits western Colombia killing at least 1,000. The Ministry of Health and Welfare approves production for sexually disabled drug Viagra from six months after application. A group of people leave London, England, for Baghdad, Iraq, to serve as human shields, intending to prevent the U.S.-led coalition troops from bombing certain locations. A panic in the Mandher Devi Temple in Wai in Maharashtra, India, has left at least 330 dead and over 200 injured. an American sociologist, writer, editor, and professor at Harvard University, best known for his contributions to the study of post-industrialism. He has been described as "one of the leading American intellectuals of the postwar era." His three best known works are The End of Ideology, The Coming of Post-Industrial Society and The Cultural Contradictions of Capitalism. In The End of Ideology (1960), Bell suggests that the older grand humanistic ideologies derived from the nineteenth and early twentieth centuries are exhausted and that new more parochial ideologies will soon arise. In The Coming of Post-Industrial Society: A Venture in Social Forecasting (1973), Bell outlined a new kind of society, the post-industrial society. He argued that post-industrialism would be information-led and service-oriented. In The Cultural Contradictions of Capitalism (1976), Bell contends that the developments of 20th century capitalism have led to a contradiction between the cultural sphere of consumerist instant self-gratification and the demand, in the economic sphere, for hard-working, productive individuals. Bell articulates this through his "three realms" methodology, which divides modern society into the cultural, economic and political spheres. In Egypt, mass protests against President Hosni Mubarak begin in the Arab Spring. The first wave of the Egyptian revolution begins throughout the country, marked by street demonstrations, rallies, acts of civil disobedience, riots, labour strikes, and violent clashes. La révolution égyptienne de 2011 (en arabe ثورة 25 يناير - thawrah 25 yanāyir, révolution du 25 janvier), est une série d'évènements (manifestations, grèves, occupation de l'espace public, destruction de bâtiments et symboles du pouvoir, affrontements avec les forces de l'ordre) ayant abouti à la démission du président Hosni Moubarak et à une libéralisation du régime. At least 50 people are killed and 120 people are injured in a prison riot in Barquisimeto, Venezuela. A clash in Mamasapano, Maguindanao in the Philippines killing 44 members of Special Action Force (SAF), at least 18 from the Moro Islamic Liberation Front and five from the Bangsamoro Islamic Freedom Fighters.